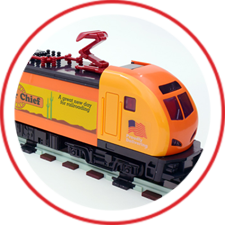 Trainfest is thrilled to announce the New Build ‘n Run Area featuring Bridger Trains – an exciting New STEAM toy from Japan. Bridger Trains is making its first appearance in the USA at our event! Kids will build their own Bridger Train Engine, brick by colorful brick. Then add the technology to run their train while at Trainfest. We’ll be sending you home with 10’ of track pieces too! 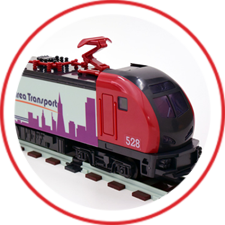 Building a Bridger train set is a fun way to kick-off the New Build ‘n Run area, and an amazing value too! Pre-Orders for Bridger are closed, please stop by the Kids’ Activity area at Trainfest to see if there are any available spots. Bridger featured in the Purdue INSPIRE’s 2018 Engineering gift guide! Look for Bridger on Good Morning America, the Today Show, and in the New York Times and Inc.! Pick blue, red, orange, or green! Make sure to bring a personal tablet or smart phone to download the coding app to run your Bridger. Everything else is provided! Everything … all the Engine build pieces, Raspberry Pi®, 4Tronix RobotHat®, a micro SD card, and all the track pieces. Everything … we’ve even included the batteries! 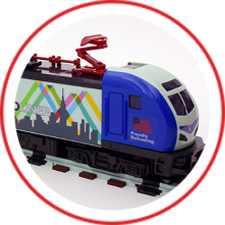 This kids-only Build ‘n Run Activity is an exciting new STEAM educational activity at Trainfest. 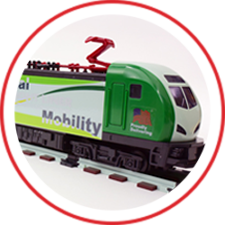 After building your Bridger at Trainfest, bring it home and discover all Bridger has to offer. The Bridger was developed in Japan by HummingWorks to be a STEAM toy which grows with a child. Kids must be accompanied by an adult at all times. This activity must be completed on site in the Kids Activity Area, and will not be sold as an at-home project.